White embroidered evening dress with fringe skirt. One of 101 dress designs for Summer 1928 bound in volume. 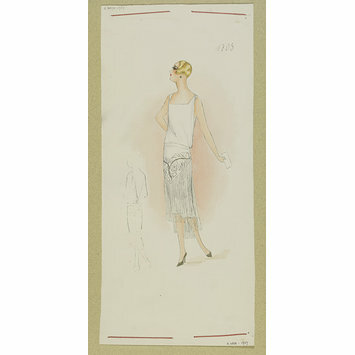 Paquin (Madeleine Wallis). White embroidered evening dress with fringe skirt. 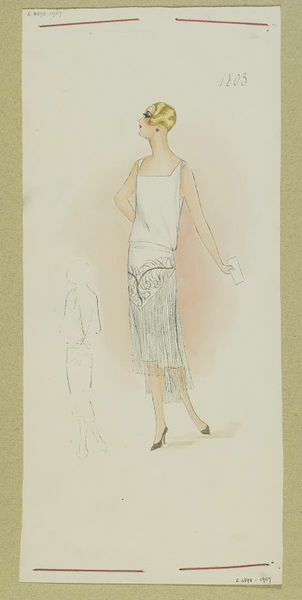 One of 101 designs for Summer 1928 bound in volume.